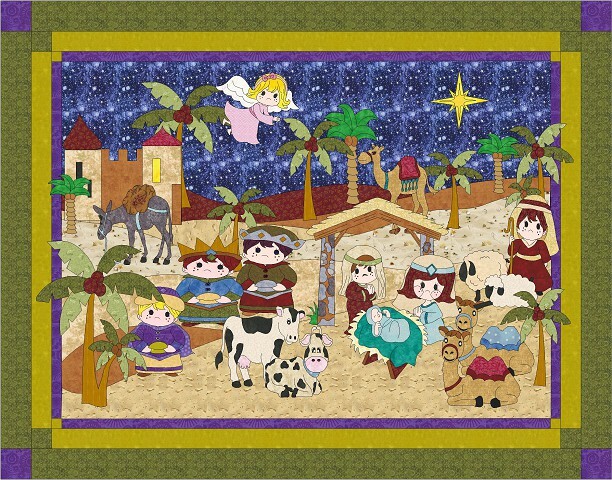 This is the full pattern to the Oh Holy Night Series from Seams To Be Sew. You must own Electric Quilt version 7 to use these files. The zip includes a .pdf, a .pj7, a .fab file and a .blk file. The pdf is simply a description on how to install and use the various EQ files. This pattern includes 24 shapes along with the backgrounds to create your project, play, resize, rearrange and the fabric library that I used in the project.